Jessica is the name and face of the company. Jessica is driven by the creative process, and is continually pushing the boundaries by exploring new techniques and experiencing all that the floral world has to offer. 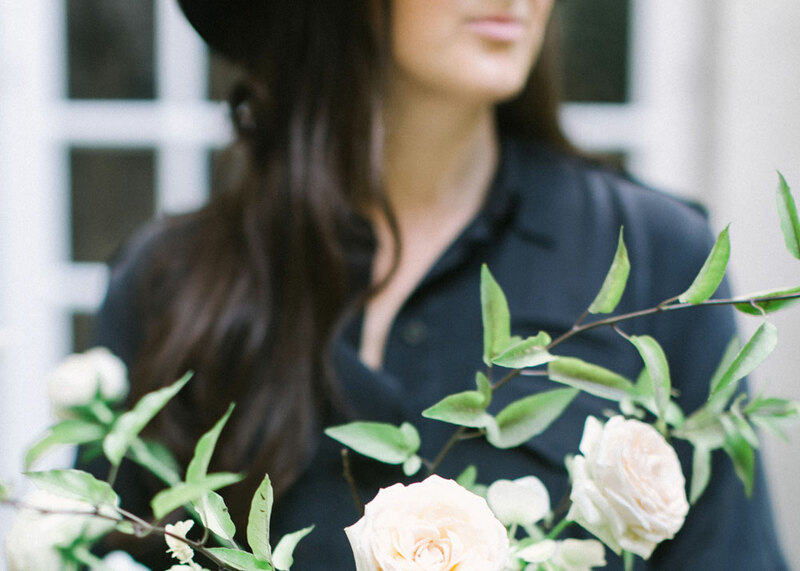 She is passionate about creating events that reflect a unique connection between the beauty within natural elements and the intimate personal ingredients each client brings to the mix. Jessica is known for her organic and unrestrained style, capturing raw elegance in all of her designs. She loves to look at each of her events through the lens of a camera because that is what allows her clients to chronicle these short-lived moments forever. Jessica loves what she does in her studio because it gives her the opportunity to invest in what she loves outside of her studio. Her husband, Brian, is her partner in all things life. Together they have a daughter, Stella, and twin boys, Perry and Zeke — a full home and even fuller hearts! Jessica is also a passionate traveler, a lover of the adventure it brings along with the chance to be exposed to all this beautiful world has to offer. We're the Zimmermans and they are my all. Kellie is the glue that holds the ZIMMERMAN team together! She handles all things logistics and client relations. Kellie joined ZIMMERMAN in 2013. From responding to emails to creating beautiful proposals and everything else that is detail oriented, she keeps the place running like a well-oiled machine. Danae joined the ZIMMERMAN team in 2014. She has a heart for serving others. Our clients love having Danae as their day of coordinator because of her relaxed energy and the genuine care she puts into handling their day. She handles all the nitty-gritty things that can pop up on your wedding day so our clients and their families can focus on enjoying the special day. We are best known for our floral design work, but we actually do much more. Take a look.